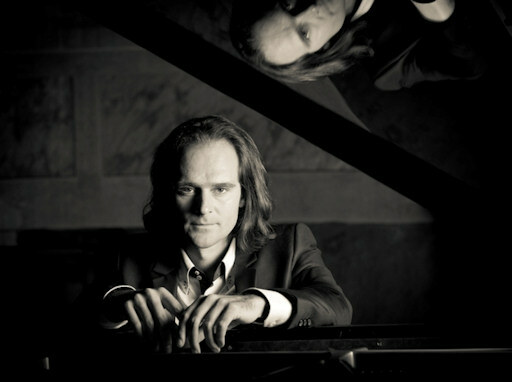 One of the most intriguing pianists his country has brought forth over the past decades, Gergely Bogányi agreed to discuss his Chopin Marathon in Budapest and his recent Athens recital on the occasion of this year's Liszt bicentenary, proving that his pianism is much less based on showmanship and acrobatics than meets the eye. You recently performed Chopin's complete works for solo piano on one single weekend. Why in the world would you want to do such a thing - was it a publicity stunt? The short answer to your question: because I love the music. That was the main reason for this craziness, the fact that I adore these pieces by Chopin. But you may also be interested in the long answer: for about ten years, I have been practicing and playing the program you heard in Budapest, consisting of Chopin's entire solo works divided into ten recital programs. Playing that much Chopin often put me into another state of mind, it was something like an addiction, and a process that gave me more and more energy rather than tiring me out. As I say, I had the recital programs at my fingertips, having performed all ten over a period from March to November in Hungary in 2001, and then in Finland in 2002, as well as more recently, last year in Guadalajara, Mexico in five weeks, and then in ten days at the Newport Festival in July in the US - one recital per day, that is, which was already really tough. From all of this, the idea was born to endeavor to achieve an even more intense state of mind, to swim in the music, to reach a very controlled and spiritual state which at the same time contained an exciting element of craziness, and to convey this to my listeners, by playing all of these pieces on just one weekend. I never had a concert hall in mind, I just wanted to play at home for some friends, perhaps 30 people at most, who would be free to come and go during the whole weekend. But then someone told the director of the Budapest Palace of Arts about my plans, and he suggested their concert hall as a venue. This made it into much more of a challenge, since that hall is difficult to fill even for just one recital in a year, so the thought of having to fill it ten times in just two days was quite daunting. I agreed reluctantly, and by the time I began having serious second thoughts, it was too late, because the publicity was already in full swing. Certainly the feeling of addiction was one you successfully passed on to your audience. I remember thinking on the Saturday morning that I would just attend a few of the recitals, but I ended up going to all of them. That is something I am very glad of, and many people, almost everyone I spoke to, reported the same thing, whether they were at the concert hall or listening to the radio broadcast: that they started out listening almost casually and then got hooked. This corresponds to the development of my state of mind as I played, and I still feel that it was nothing short of a miracle that everything went exactly as planned, and by that I do not mean that I was able to play through the entire program - that was never the most important thing - but that I was able to express the musical essence in a deeper sense and that those listening could partake in it. Do you intend to do a repeat performance? No I don't, but this was a profound experience which I will not forget (nor will his audience!). After the 2nd or 3rd recital, I was "out of my mind", but in a positive sense, neither tired nor fed up, but deeply in touch with myself and the music. Since I was in a mental state unachievable under normal circumstances, there are some pieces I will never play like that again, and here I am referring above all to the 3rd movement of the Sonata no. 2. It was as if angels were producing the music, and I was just wandering. How did you prepare for this major undertaking? The Malev in-flight magazine proclaimed that you had summoned "transcendental powers"?! Or did you read then scores and practice "Roman Catholic fasting", which is reportedly what Chopin himself recommended to his favorite student in preparation of a concert (albeit of the piano concertos)? So how much time do you devote to practicing…? Only about a fifth of the amount of time I should. Seriously, though, and to get back to Chopin, to you have any intention of recording Chopin's complete works after this concert marathon? I seem to remember that when Glenn Gould was once asked to consider the idea, he thought it "perverse". Why do you think that was? As a matter of fact, my recording of Chopin's complete works for piano is coming out in May! And in my opinion, the reason Gould made that comment is that he did not have the slightest clue about Chopin, he didn't understand him at all. Just think for a minute of the extremely low-level parodies he did of Mozart and Beethoven's music. Who is making the mistake here - these two great composers, or Glenn Gould? I believe he is grossly overrated as a pianist. I would be the first to concede that his Bach recordings are masterful, at least some of them, but that does not mean that he also understood the work of those he ridiculed. Besides sheer talent and virtuosity, what is the difference between an amateur and an artist at the piano, in your opinion? It is the immediate understanding, the grasp of the music that makes the artist. What do like best about being a pianist, assuming it is more of a vocation than a profession to you, and is there anything you don't like about it? It is a way of life and I could never have chosen another. I have my cross to carry just as everyone else does, but it is a good cross! And I do so with dedication, if not always with pleasure, and this I say because I encounter much resistance to my old-fashioned attitude, which is that you cannot get around really interpreting the music. These days, everyone is after money, pursuing sponsors, it is a global phenomenon, and I find myself almost alone swimming against this stream. The proof of this is that even world-famous artists often no longer care about the message of music. Audiences are powerfully manipulated, something that is sad to see. I am being frank about this because I have had enough of not speaking the truth. Living in today's world is like being in a performance of "The King's New Suit", only that in this version, no one has the courage to say: "By the way, the King is naked". What do think of pianists who market their image as does Lang Lang? I don't like seeing a machinery product from a factory on a stage meant for musical performances. Nothing could be further removed from my way of thinking than to become a product of something, particularly of a factory. But you do seem to be cashing in on your resemblance to the young Liszt? Do you often play recitals with a portrait of him in the background, even wearing the same sort of coat he did (as you did recently your recital on behalf of the Hungarian Embassy in Athens )? Certainly not, and I was very angry at the Embassy for putting up that portrait. I do not try to dress like Liszt did when appearing on stage. I happen to be Hungarian and own a Hungarian coat, and I like to wear it, and that is all there is to it. If there is something in Liszt that I would like to emulate, it is not his appearance, but rather I would aspire to become more like him musically, spiritually, to understand his unique generosity and his uniquely religious touch. I feel almost personally offended when Liszt's music is performed without the slightest modesty (and here I am not necessarily alluding to Lang Lang). An attitude so arrogant is an insult to such deep and phenomenal music, and indeed the one thing Liszt hated most was superficiality, even with respect to popular pieces like the Hungarian Rhapsodies. For it is impossible to doubt Bogányi's genuine sincerity, especially after having experienced him as a teacher earlier that day. The way he conveyed what he referred to as the "inexorable" quality of the first movement of Beethoven's "Moonlight Sonata" (a popular piece if there ever was one) or the to-die-for feeling in the few simple chords near the beginning of a Schubert's A Minor Sonata D784 (around bar 60) was utterly convincing and spoke for itself. As he remarked to one student who was working on Chopin's Ballade no. 1: "You can play this piece in a hundred different ways, but never without the meaning". This interview was hosted by the Athens Kodály Conservatory (www.kodaly.gr), in connection with Gergely Bogányi's recent master class.